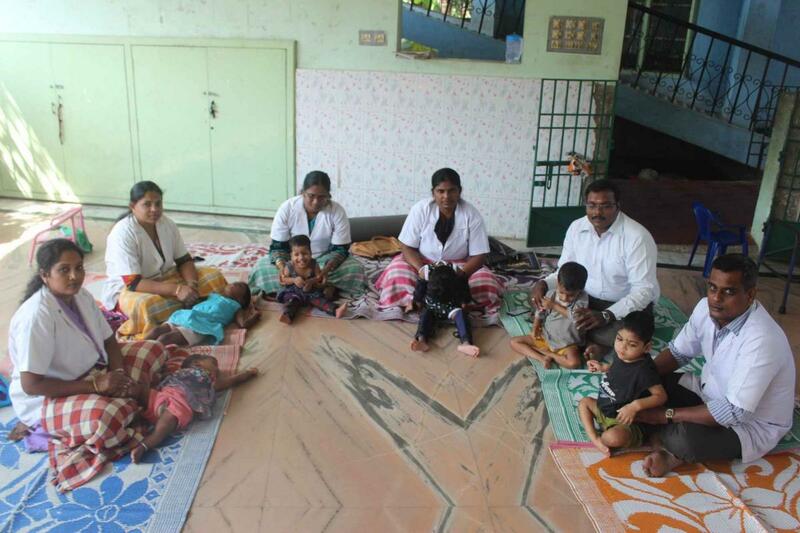 A team of physiotherapists headed by Mr. Robinson gives physiotherapy to our children affected by cerebral palsy, autistic and mentally challenged children everyday from 9.30 am to 3.30 pm. They provide therapeutic exercise such as electrical stimulation, muscular stimulation, tense to remove pain, contracture removing, stretching exercises, strengthening exercise and so on. We have electrical stimulator called Electro care machine, parallel bar, static cycle, physioball, walker and so on. Regular physiotherapy results in remarkable improvement and development among our children. Rohit, a bed ridden child suffering from cerebral palsy is able to walk after giving two years of physiotherapy. 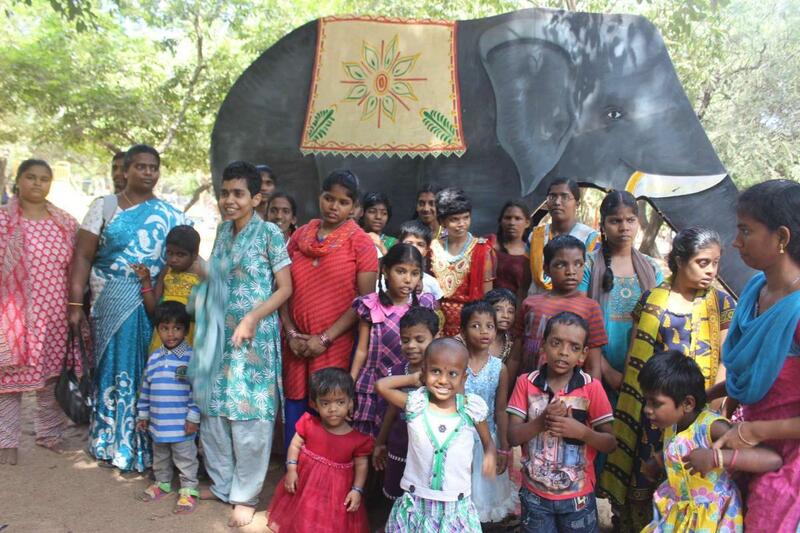 Some of our physically challenged children Meenakshi, Senthil Kumari, John, Rithvik are able to walk without support. Sometimes our children do stay idle, some of the children are bed ridden, there is a compulsory need for occupational therapy. We have fur toys, musical toys, standing frame, CP chair, building blocks and so on to enhance occupational therapy to our children. In occupational therapy we give exercise to normalize tone,stretching and positioning, to relieve tightness maintain stretch is given. Milestones are achieved through different positioning the child, providing sensations of the objects for grasping. 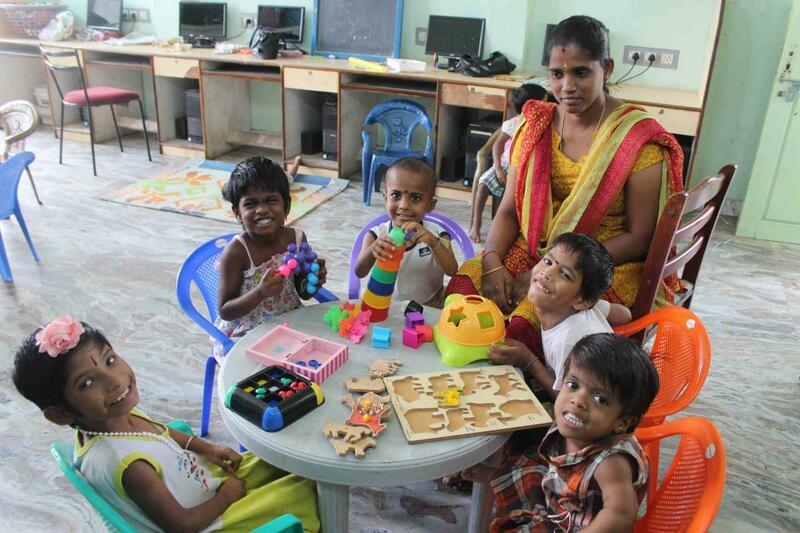 Of course, occupational therapy plays an important role in the lives of our special children. It makes them active; it gives a satisfying feeling to our special children because they could do something. Special children do have learning disability and are slow learners. Hence based on their IQ testing they are categorized and provided with colorful toys, coloring books, clay, puzzles, matching cards, simple vocabulary, color concept, shapes, simple arithmetic, simplified academic skills and so on. Whereas for the trainable group we teach ADL (Activities of Daily Living) to reach our main goal i.e. to make them "independent". We do play music and songs as part of special education. 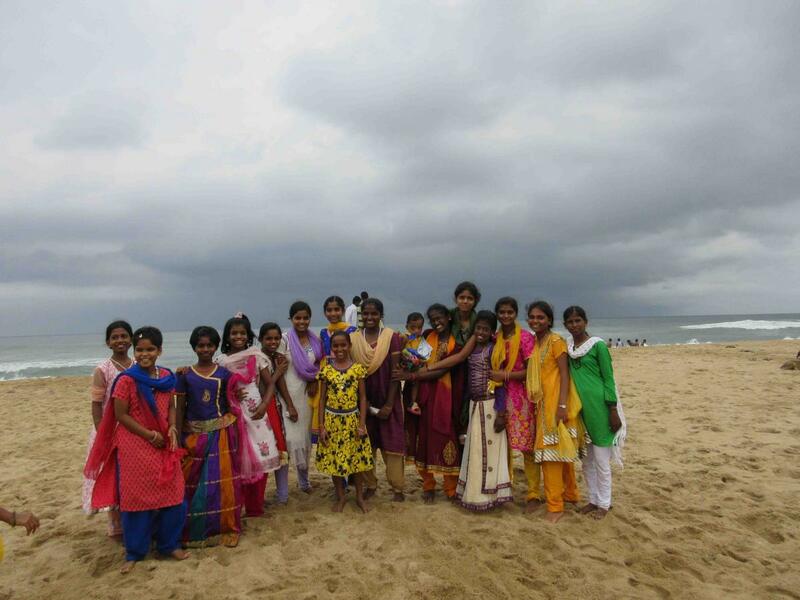 In this aspect some of our special children have made significant improvement. They started to write their names, say a few rhymes, names of the objects, match the objects, good in ADL skills. These achievements are possible by the team of our staff and our childrens efforts. Children love games and sports. Our special children are also not exceptional, they love to play games. physical exercise which are relevant and pertinent to them. Integration of normal Children with special children in life activities play an important and therapeutic role in the lives of our special children. Though our normal children are enrolled in our neighborhood schools, they also need special coaching. We have a team to look after our School going students. They have regular contact with their teachers and they give educational counseling to our children. Along with academic help and guidance, the school children are given the following facilities. Dance Masters come from Kalashethra to teach our children the classical dance Bharatha Natyam. Singing, Dancing, Drawing, Painting and Playing drums for our school going children as an extra curricular activities. Once in a month Picnic or Outing Programs are given to add a little more joy and happiness.